This latest edition features biographies on seekers, to well seasoned spiritual believers. Some life experiences have raised deep questions whilst others have strengthened their commitment. 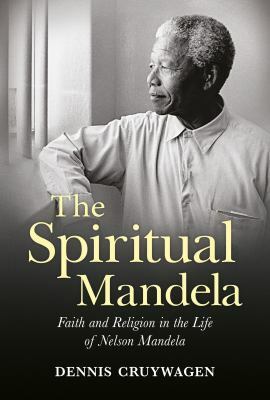 The spiritual Mandela : faith and religion in the life of Nelson Mandela, by Dennis Cruywagen. Born with wings : the spiritual journey of a modern Muslim woman, by Daisy Khan. Why I am a Hindu, by Shashi Tharoor. Paul : a biography, by N.T. Wright. The details of Paul’s life are scant at best, and while Wright presents plenty of historical background material, he bases much of his insights on the picture revealed by Paul’s writings. In this very readable account, Wright is careful to acknowledge that his thoughts are calculated probabilities, but speculations none the less, as he tries to understand the man most responsible for spreading Christianity across the Gentile world. Stalking God : my unorthodox search for something to believe in, by Anjali Kumar. Shunned : how I lost my religion and found myself, by Linda A Curtis. An explorer’s guide to Julian of Norwich, by Veronica Rolf. Medieval scholar Rolf introduces us to Christian theologian and mystic Julian of Norwich as the first woman to write a book (let alone a spiritual autobiography) in the English language. Julian was probably a member of the merchant class, rather than a nun which is commonly assumed. Rolf places Julian in her social context as she prays alongside the Hundred Years’ War, and the Great Plague’s destruction of one-third of human life. Holy rover : journeys in search of mystery, miracles and God, by Lori Erickson. Erickson travels the world as a writer specializing in holy sites – journeys that led her on an ever-deepening spiritual quest. Her pilgrimages have taken her to several continents : Martin Luther sites in Germany, Machu Picchu in Peru, Walden Pond in Concord, Massachusetts, and The Temple of Artemis and House of the Virgin Mary in Ephesus, Turkey to name a few.